Sabermetric, scenario-based analysis engine for each fan! Based on your hunches, get answers on what pitchers and hitters are really doing in key situations! Americaneagle.com, Inc., founded in 1978, is a leading Web design, development, and hosting company based in Park Ridge, Illinois. Currently, Americaneagle.com employs approximately 180 professionals in offices throughout the country including Chicago, Cleveland, Dallas, Washington D.C., New York, and Los Angeles. Some of their 3,000+ clients include Hobby Lobby, New York Giants, NASCAR, Stuart Weitzman, Ron Jon Surf Shop, Chicago Bears, Abbott Laboratories, and the U.S. Army. For additional information about Americaneagle.com, visit www.americaneagle.com. Bill James is a baseball writer, historian, and statistician whose work has been widely influential. Since 1977, James has written more than two dozen books devoted to baseball history and statistics. His approach, which he termed sabermetrics in reference to the Society for American Baseball Research (SABR), scientifically analyzes and studies baseball, often through the use of statistical data, in an attempt to determine why teams win and lose. His Baseball Abstract books in the 1980s are the modern predecessor to websites using sabermetrics such as baseballprospectus and baseballprimer (now baseballthinkfactory). What will box scores look like in a hundred years? What did they look like a century ago? Whatever the difference, it can almost be entirely attributed to advances in baseball statistics analysis. But analysis alone is not responsible for the prevalence of advanced statistics now in broadcasts and bar-room arguments across the world; you need to have high quality, innovative data or you may draw the wrong conclusions. 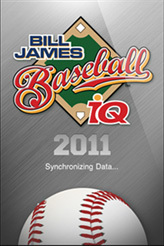 Baseball Info Solutions has been supplying top notch, timely, and in-depth baseball data to its customers since 2002. BIS collects a statistical snapshot of every important moment of ever Major League Baseball game with the most advanced technology, resulting in a database that includes traditional data, pitch-by-pitch data, and defensive positioning data. The company also has the highest quality pitch charting data available anywhere, including pitch type, location, and velocity. BIS continues to grow within the industry while emphasizing personal attention to its customers. This focus on personal attention is evidenced by the fact that if you contact the office with an inquiry you may very well find yourself speaking directly to the company president. For more information, visit www.BaseballInfoSolutions.com. I was recovering from a knee surgery so I had a lot of time to watch baseball. I watched the Yankees every night and I noticed that in critical situations, Yankees manager Joe Girardi would flip through a 3-ring paper binder looking for information. The light went on right then. Having implemented analytical systems for large corporations, I knew I could do much better. The dream for me was to put more information in the hands of fans than the manager has in the dugout. With the iPhone, this dream became possible. I met Bill James outside of Fenway Park at the Cask N Flagon. I admit that as a mere mortal, I was a bit nervous to meet the statistician who helped the Red Sox win the World Series. After Bill dismissed my thoughts on why teams should shift on Matsui, we talked about getting his input on the app. Bill agreed and he also connected us with Baseball Information Solutions, a leading baseball data and analytics company. So the final pieces were put in place quickly. I was ecstatic to have Bill's commitment. We think the app can change the way TV broadcasts do their game analysis. In the past, pre-game analysis in baseball has centered on discussion among the experts. With this app, a commentator can dial in situations and pitcher-batter combinations, and display a full color visualization of a player’s strengths, weaknesses, and tendencies. It’s all about engaging fans with insights. On the other hand, it works just great from the couch or bleachers. ©2011 Americaneagle.com All rights reserved.